Reviews from Yarra Valley, Geelong, Mornington, Melbourne and beyond. There's also HEAPS more over at my Easy Weddings and Facebook pages. Paul made us feel relaxed and made us feel like old friends straight off the bat! He made the whole process so easy and so relaxed and produced a amazingly funny and genuine ceremony for us. Paul Bonadio - Stand Up Comedian. Stand up Man. Ten stars out of Five. Hear some lovely words from Ben and Katherine! Paul was everything we wanted in a celebrant. He was funny, spoke well, presentable and he really took the time to tell our story much better than we ever could. We had so many friends and family comment on how enjoyable and light hearted he made our ceremony. A video review from the awesome Tori and Dermie. Paul was the perfect combination of love and humor. 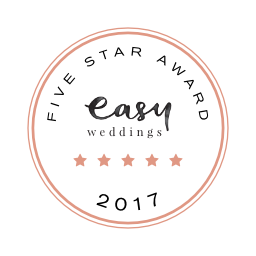 He set the tone early on and straight away had everyone's attention and we've had nothing but... 'your celebrant was the best celebrant we've ever seen' feedback from so many guests! Highly, highly recommended!!! This week’s featured outfit is Blue Crush. Blue Crush is tranquil, calming; like that first spray of aloe vera after falling asleep on the beach. The centrepiece tweed tie has won four national surfing titles, including the Pipe Masters in Hawaii. Kelly Slater rang me and said he wanted it. I told him I wanted ten thousand dollars. HOW TO CUT PEOPLE FROM YOUR INVITE LIST. WHAT REALLY GOES INTO BEING A CELEBRANT. THE BEST WAY TO KISS AT YOUR CEREMONY. HOW TO SAY YOUR VOWS AT YOUR CEREMONY. Like to find out more ABOUT A STAND-UP CELEBRANT? If time unknown, please pop in an estimated time.